In 1925 at the Lions International Convention Helen Keller challenged the Lions to be knights of the blind in the crusade against darkness. 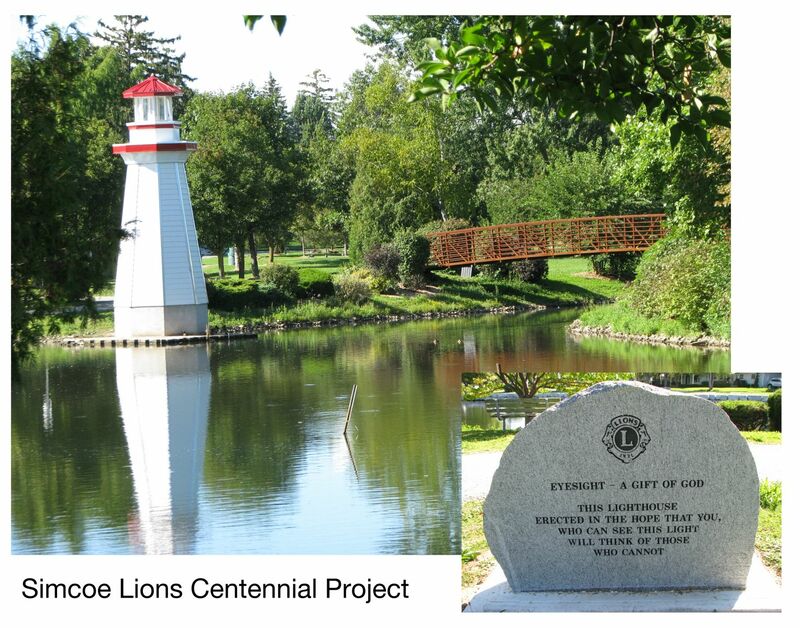 In 1964 Simcoe Lions decided to highlight its commitment to its major work, eyesight with a 20 foot miniature lighthouse in downtown Lake George. This beacon of light was the focus of the club’s work for their crusade against this devastating disease for many years. As time passed the icon began to deteriorate and so in June 2017, 53 years later it was removed and purified by fire at the annual club barbecue. Out of the flames that night came the resolve to replace this beacon of light. Thinking that this would be a fitting project for our Lions 100th anniversary, planning and work began on a new structure. After much hard work and many volunteer hours from club members and others in the community a new lighthouse came into being. It is larger than its predecessor with state-of-the-art construction and LED programmed display lighting. “Eyesight: the gift of God. 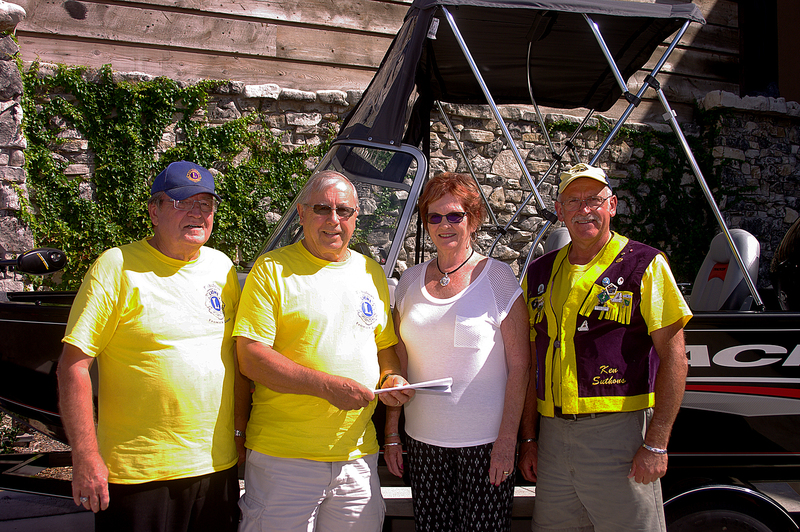 On September 20, 2016 the Fabulous Fenwick Lions Club turn over the Tracker 16.5’ boat, 75HP motor & trailer to the winner of this year’s Wheels & Waves raffle, Annita Tudor of St. Thomas Ontario at the BassPro store in NOTL. The Fabulous Fenwick Lions donated $7,500of the proceeds of the raffle to the Lions Foundation of Canada Guide Dog Program, $6000 to sponsor a Canine Vision Dog & $1,500 toward our Region 38E Zone Chair Lion Holly Cavanagh’s 2016-2017 project of raising $12,000 for an Autism Assistance Dog. This will be the 16th dog we have sponsored from the proceeds of our raffles. The Fabulous Fenwick Lions Club would like to thank all those Lions who supported this year’s raffle. What great day in Hagersville Park. 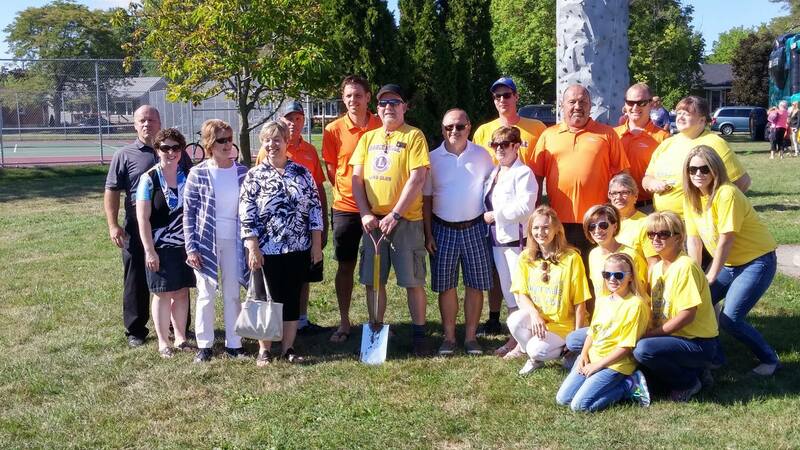 Excellent turn out for Summers End Festival and a great Ground Breaking Ceremony for the Splash Pad. Many of our sponsors and friends turned out to see this momentous occasion. In the picture atached are our partners from the Wanda and Scott Salverda Memorial Foundation, Steve and Shaun Salverda, the gang from R. A. Bennett Insurance, Aviva Insurance rep Mike, Jennifer Peart from FCC, and Janice Miles and Sandra Maggio. 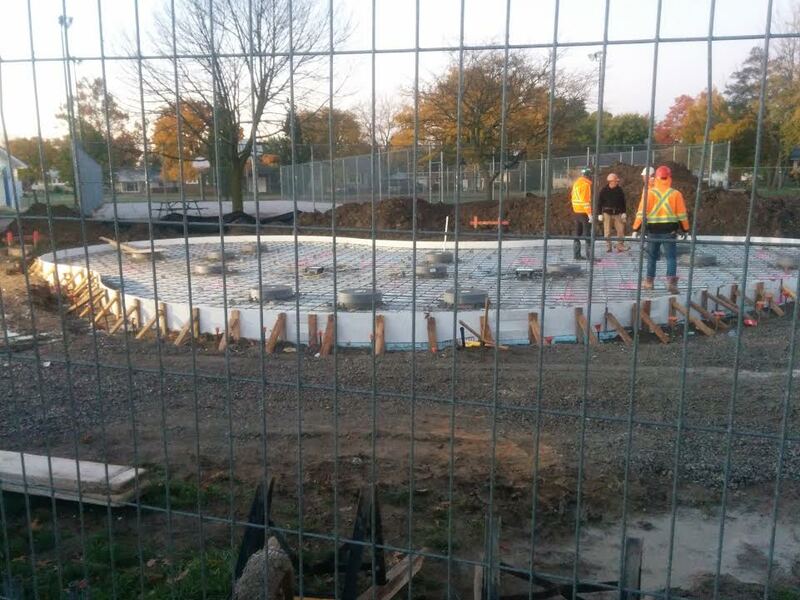 We have poured the concrete, got most of the service building up and have about 4 weeks of work left before the frost sets in. The project will be cleaned up and finished in the early spring. Water will be flowing on the Victoria Day weekend of 2017.